Time’s running out! Only 15 days left to Upload DNA to MyHeritage for FREE! This is our last chance to transfer Autosomal DNA tests from AncestryDNA, 23andMe, FamilyTreeDNA, and Living DNA to MyHeritage for FREE, to be grandfathered in to free ethnicity estimates, use of the chromosome browser, and some other features. In the future, you’ll be able to upload your DNA to MyHeritage for a fee and this fee may or may not include the same testing tools. 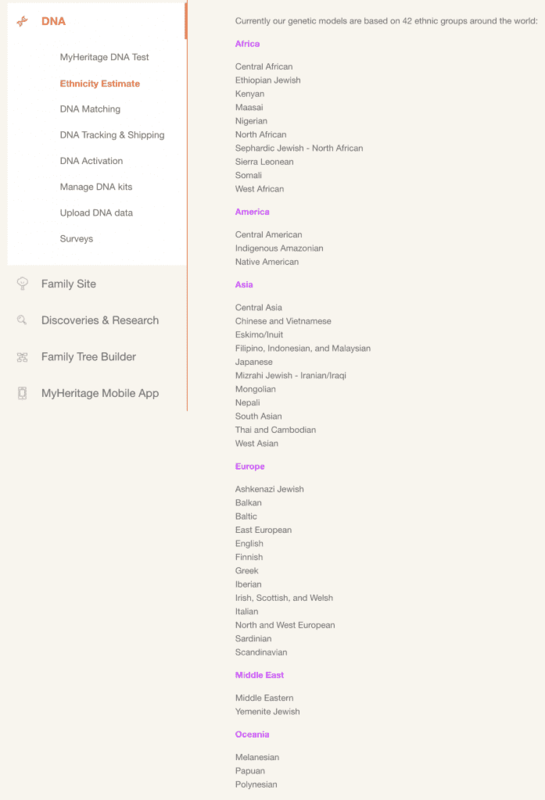 Why Upload DNA to MyHeritage NOW? First, every DNA testing site has different tools for DNA analysis and even if you don’t have time to explore these tools now, it’s an easy way to be grandfathered into some great tools at MyHeritage that you’ll get to enjoy for free when you find the time to use them. DNA matches – I love the DNA match filtering tools at MyHeritage. You can filter by people with trees, shared surnames, shared places; ethnicities you’re researching, locations people are from, or proximity of the predicted relationship; and you can compare matches by shared matches. This tool allows you to focus your research on DNA matches that might help you break down a brick wall. Chromosome browser – You can compare your DNA to that of other matches to possibly find a common ancestral connection through triangulation. This works best if you have some known close family who also test at or upload tests to MyHeritage. My husband and his mother have both tested at MyHeritage. His father is deceased but his paternal uncle has tested at MyHeritage. 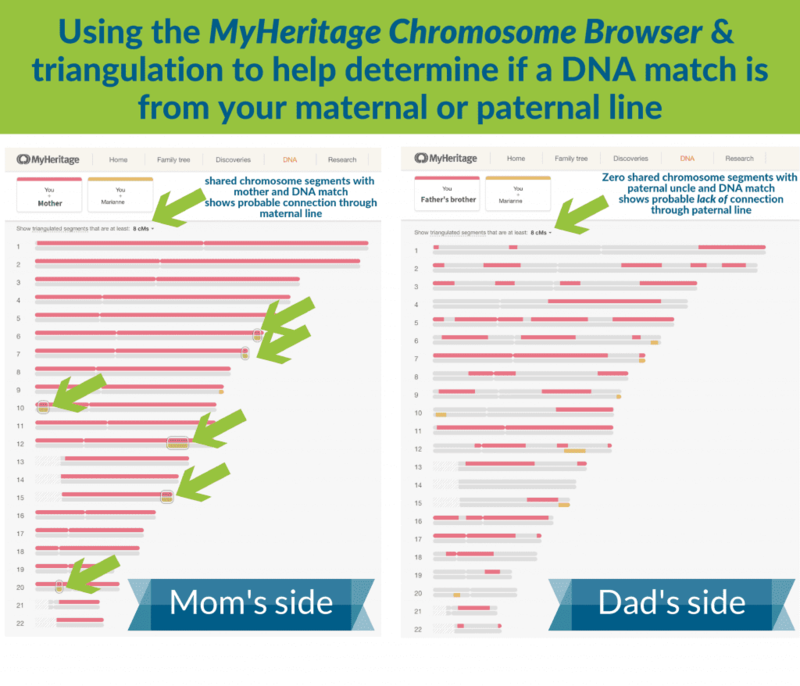 We use the Chromosome browser to compare unknown DNA matches to him and his mother then him and his paternal uncle for clues as to which family line the unknown match might be connected through. Ethnicity Estimate – each DNA company uses different samplings of founder populations (see Founder Populations project) upon which ethnicity estimates are built. MyHeritage currently supports 42 ethnic populations and will soon be adding more ethnicities. My husband was surprised to find a small percentage of Ashkenazi Jewish in his ethnicity estimate and I was surprised to find a small percentage of Finnish DNA. 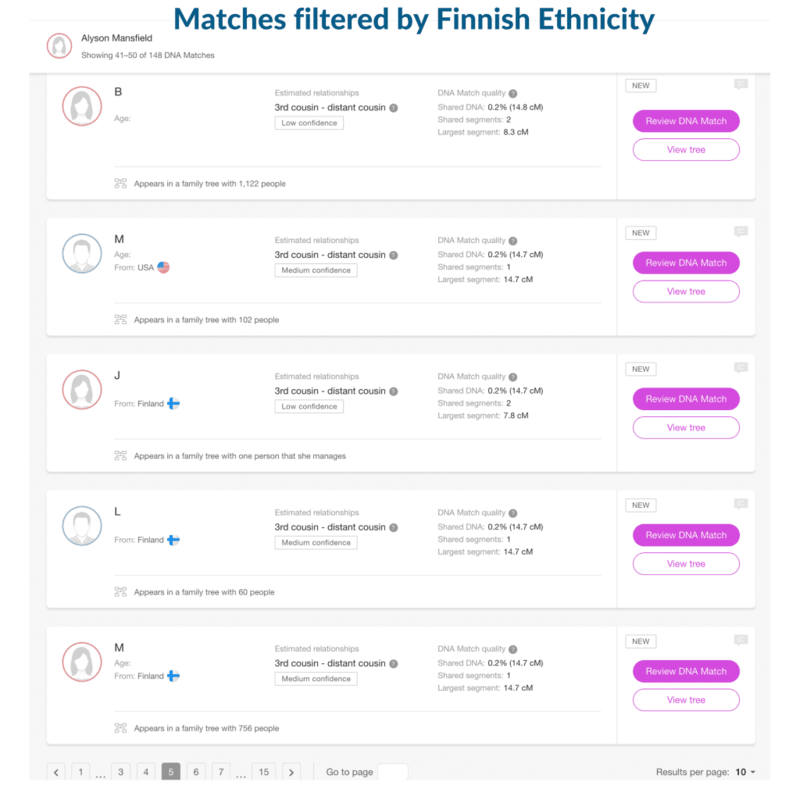 I’m still sorting through Finnish matches trying to make the genealogical connection. Second, it benefits relatives who may have tested at a different DNA site than you. It makes sense to get your DNA to as many trusted testing sites as possible to assist people who have lost family connections and are trying to figure out who their genetic relatives are. Every day we see news articles about people who are finally finding biological family through DNA testing. It seems to give them a sense of connection they’ve been missing. It’s a benevolent gesture that takes very little effort on our part but may make a huge impact on the life of another person. Most people can’t afford to test at multiple DNA test sites and some test sites don’t permit DNA uploads so if you have a family member who has only tested at MyHeritage and you have only tested at Ancestry or 23andMe, it makes sense to upload your DNA to MyHeritage so this person can benefit from comparing their DNA to yours to assess potential “shared matches” as in the above-example with the chromosome browser & triangulation. Here are some Q&As from the MyHeritage Help Center if you have further inquiries about their DNA testing and results. Here’s is a link to the MyHeritage site where you can upload your DNA to MyHeritageDNA.